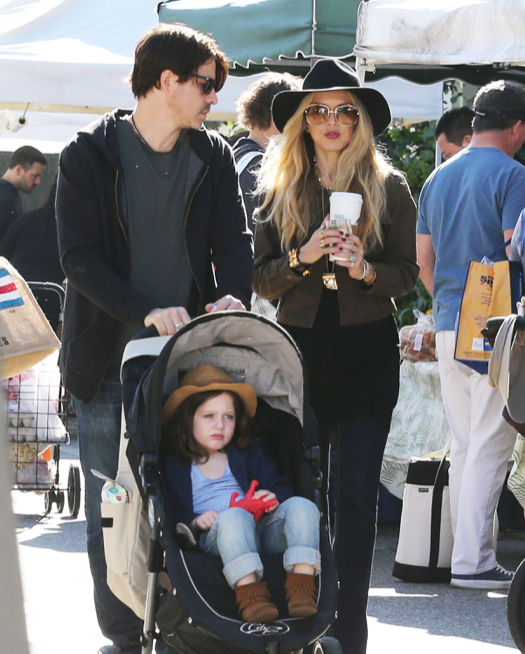 Rachel Zoe, her husband Rodger Berman and their Skyler enjoyed a day at the Farmer’s Market in Beverly Hills, CA on Sunday (Jan. 18th). The celebrity stylist was dressed in a brown jacket, black shirt and matching pants. She carried a coffee while walking besides Berman who was pushing the youngster in a stroller. Zoe recently told she has never been happier than she is now. “Weirdly enough the kids actually help you keep it together. It is chaos, but they just check you all the time. No matter what, you’re Mom,” she added. The fashion designer is also mom to 1-year-old Kaius.